Should you use folders or not? To use location based default metadata properties. You can set default metadata values for every folder. In ‘Library settings’, ‘Column Default Value settings’, you can set defaults on all of you subfolder starting from the root(inherits by default). Also check out the Location-Based Metadata defaults feature: http://msdn.microsoft.com/en-us/library/ee557925.aspx . Folders are great for finding info when you know your way around the folder structure. Folders improve the efficiency of data access because the creation of a folder leads to the creation of an internal index. Folders work great in scenarios where file shares are used. In a file share, the only way of classifying files is through filename and folder structure. In SharePoint we have a choice, and you could consider using both folders and metadata together. Folders work a lot better with Windows explorer views. In a flat structure you see everything and nothing in one view…. Document sets inherit from the folder content type. So, even if you resent the idea of using folders, you’re probably still a fan of using them without recognizing it (that is, unless you deny the usefulness of Document Sets). You can use folders while still removing them from view. If you don’t want to use the folders all the time, create a view that does not display the folders. In ‘Library settings’ – ‘Create View’ – ‘standard view’ – under ‘Folders’ – you have a choice of ‘show all items without folders’. This will turn your folder based structure into a flat library. Folders is a great way to introduce metadata to old school change-reluctant users, using default folder values will allow you to add metadata without the user noticing. Folders save you time in migrations if you can copy an existing fileshare folder structure. If you don’t know the folder structure, finding info is easier using metadata based navigation. Folders don’t look great when you put a Library web part on a page (there’s no navigation back up to the parent folder). Folders without metadata, can cause you to ‘lose’ documents. You can have several document libraries in one site, that is also a way to separate security/permissions. There is a commercial third party tool available for SharePoint that allows you to set permissions by the use of metadata. So, if you’re interested in that, you can investigate further. SPS 2013 search makes it easy to find worthwhile files and list items with or without any added metadata. If you don’t use metadata, Sharepoint automatically adds metadata anyway to your documents. The document name, document type, folder name, created by, modified by etc. 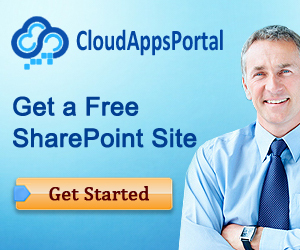 Sharepoint adds about 20 metadata to your documents automatically without you having to do a thing. So in fact you are always using metadata. You can lose documents when placed in the wrong folder, but the same is true when you add the wrong metadata to a document. A good search engine alleviates those problems. Besides the time needed to add constantly new metadata to individual documents, there is no decent way to add or change metadata in bulk when its Term Store metadata. The Datasheet view options are greyed out when using the term store. 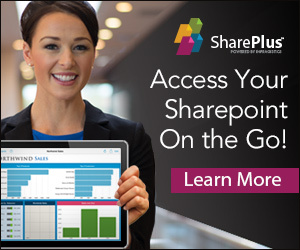 Are you really going to ask you end-users to add metadata to individual documents when they want to move 50 documents from file share to SharePoint on any given day? Do you really want to use third party migration software for every instance that this occurs? Of course it is best practice not to create too many folder levels, but metadata grouping can only give you 2 levels of “folder like” structure. Sometimes you just need 3 levels to make the document structure logic for everyone. When you add a library web part view on a page, there is no way to tell in which folder you are at any given time, there is also no way to navigate to the parent folder. However, it’s possible to invest in custom work to give library web part views that do show a breadcrumb and that has taken away the biggest disadvantage of using folders for my end-users. Try and keep the folder hierarchy as flat and minimal as you can, but don’t limit yourself to metadata views exclusively. Mix the opportunities for the best results! If you choose to depend on metadata only, you should separate sets of documents by putting them in its own websites and set the permissions on this level. If you need a more granular rights management, folders/libraries are the easier way to do it. http://social.technet.microsoft.com/wiki/contents/articles/12438.sharepoint-2013-best-practices.aspx, the one and only SharePoint 2013 Best Practices page.